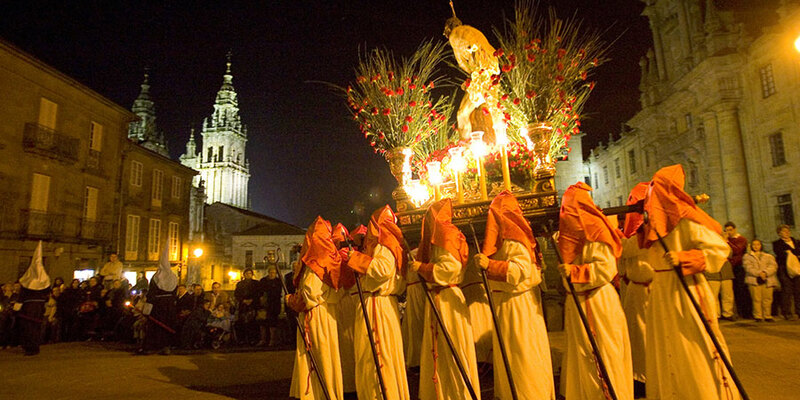 Semana Santa (Holy Week) or Easter in Spain, is one of the most important festivals of the religious calendar. When does Semana Santa take place? Easter in Spain generally starts on Palm Sunday and finishes on Easter Sunday, hence the term ‘Holy Week’ or Semana Santa. During Easter week, many towns and cities host impressive processions, reenacting different episodes of the passion and resurrection of Christ. Thousands of locals and visitors atttend and take part in the processions. Processions are the main focus of Easter in Spain. The processions or parades generally involve floats with religious imagery and sculptures related to the passion of Christ (known as ‘pasos’), carried by members of different brotherhoods (cofradias). Drums and music or singing are also part of the parades in many Easter celebrations, which can be full of emotion. Brotherhood members wear special attire, including a cloak and a hat covering their face. Each brotherhood has its specific colours. The processions take place on the streets of each town and have different starting points and routes. The style can also vary from region to region, some of them being more animated and others being more solemn or sombre. Domingo de Ramos or Palm Sunday commemorates the arrival of Jesus in Jerusalem. He is generally depicted arriving on a donkey and welcomed by people with palm leaves. Jueves Santo or Holy Thursday was the day the Last Supper took place and also when Jesus was apprehended. Good Friday processions represent the passion of Christ, including his encounter with the Virgin Mary and the crucifixion. 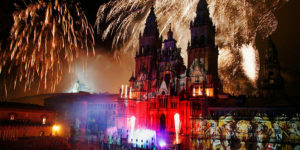 Because some of the sculptures and imagery in the floats are of great artistic value, many of them being centuries old, processions are weather dependant which means, if it rains, they will not go ahead to avoid damaging the statues. 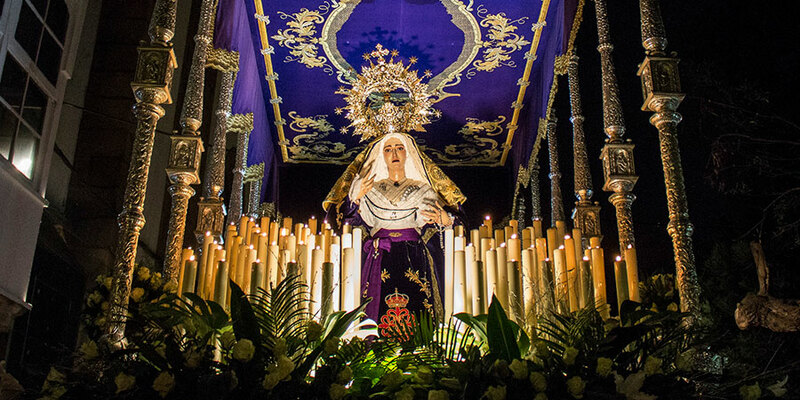 What are the origins of Semana Santa? 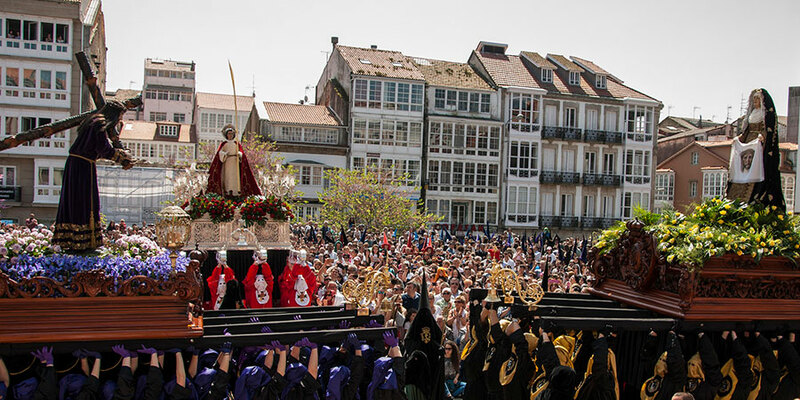 While the passion of Christ has been celebrated since the very beginnings of religion, the concept of Semana Santa processions and Easter events in Spain became widespread in the 16th century when the Catholic Church decided to bring the passion of Christ to the streets and saw these theatrical parades as the best way to explain these events to the people. 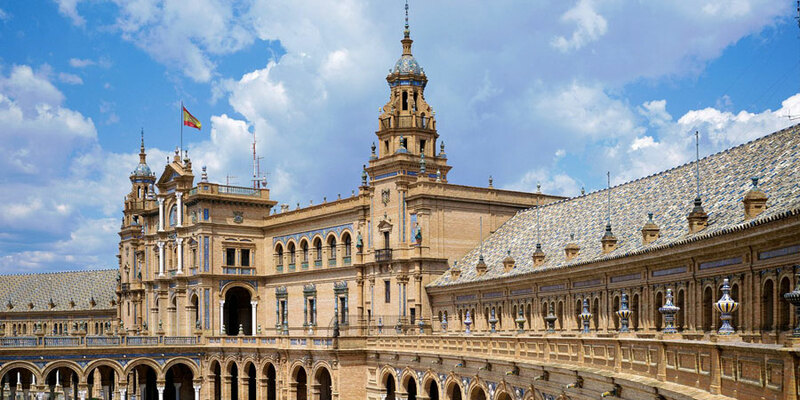 Zamora, on the Via de la Plata, claims to be home to the oldest Easter celebrations in Spain, dating back to the 12th century. Where you can see it? 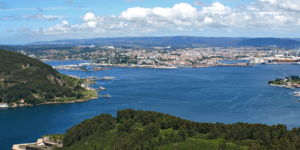 Seville on the Via de la Plata and Ferrol on the Camino Ingles host the most important Easter celebrations on the Camino routes in Spain and Galicia repectively. 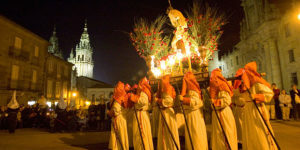 However you can witness Easter processions in most cities and towns across Spain; many of them on the Camino routes, including Santiago de Compostela, Fisterra, Lugo, Leon, Salamanca, Caceres, Granada and many more. 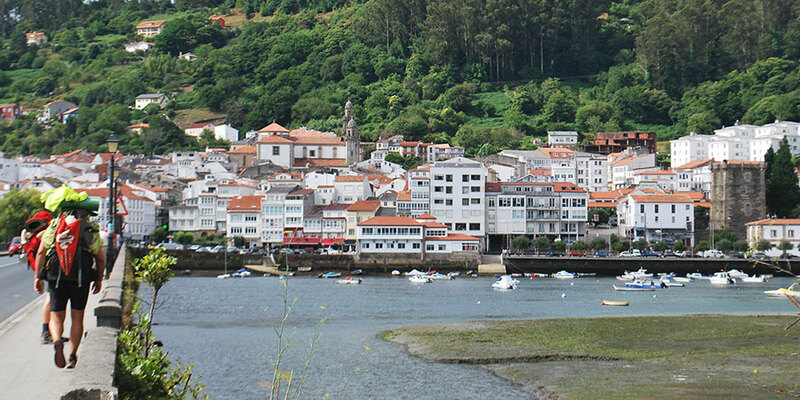 For more interesting events, check out the Camino festivals calendar here: Camino Culture.